"Operators prefer the value and quality of the Honeywell SPEX exchange for the VG14A gyro, but have provided feedback that they would like a lower exchange cost," says Kevin Miesbach, manager of Duncan Aviation's Avionics and Instrument Shop, which performs overhaul and recertification for all Honeywell SPEX VG14A exchanges. "Honeywell and Duncan Aviation collaborated and developed service efficiencies that allow for more value with the SPEX exchange on that unit." Starting in April, operators will be able to receive the VG14A Honeywell SPEX exchange (part number PN7000622-901)for $5,500, half off the former rate of $11,000. However, customers who buy the exchange unit will still receive the same reliable, high-quality Honeywell unit backed by a full one-year unlimited warranty, Honeywell's liberal "no billback" guarantee and Duncan Aviation's excellent 24/7 customer service complete with same-day shipping and no AOG fees. 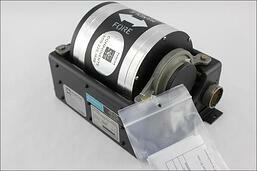 To purchase a Honeywell VG-14A SPEX exchange, call Duncan Aviation's Parts Sales at +1 402.475.4125 or 800.228.1836.